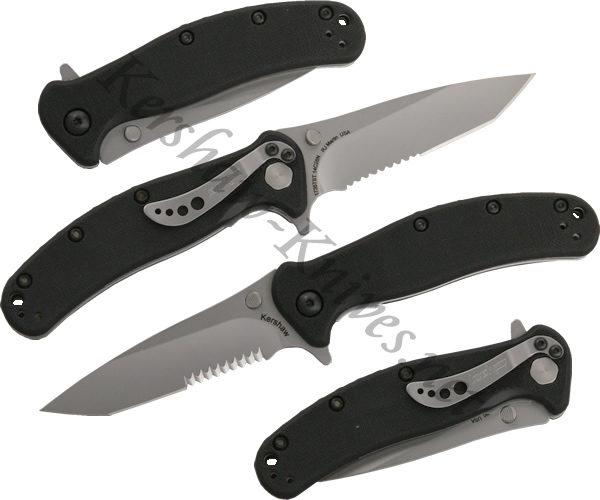 This Kershaw 1735TST serrated Zing Tanto knife is made in the USA. It has a Sandvik 14C28N stainless steel blade that is partially serrated so you get the best of both worlds. The handle is textured injection mold for great gripping power. There is a flipper on the back of the knife that allows you to deploy the blade fast. For a little slower opening you can use the ambidextrous thumbstuds mounted on the blade.